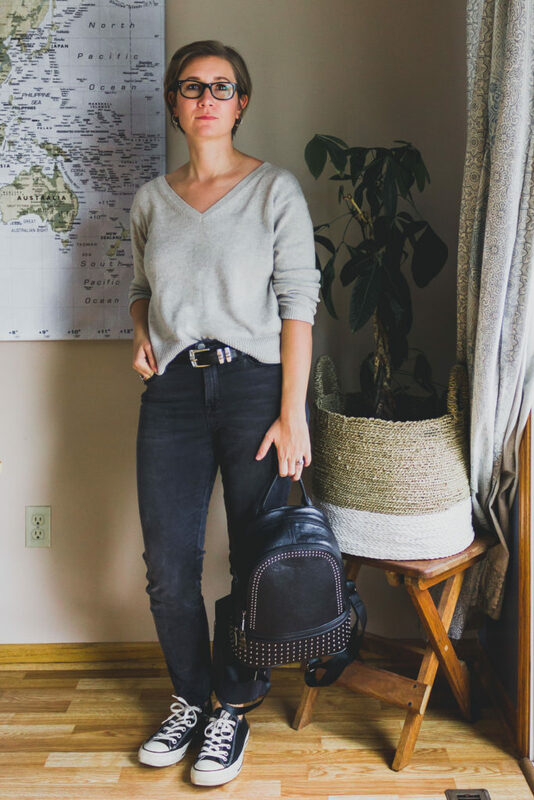 I’ve noticed lately that there’s been a bit of a shift in the past couple of years where ethical fashion is becoming “trendier” (I put that in quotation marks because trendy is kind of a subjective word). But I’ve noticed lately that there seems to be a bit of a shift in the movement that I like to call the “designer strut”. The designer strut is probably most noticeable outside of the ethical fashion world with designer bags. But I think it’s becoming a thing inside of this movement as well with certain brands/pieces. I don’t think there’s anything wrong with wanting to own those things or liking them because you’ve seen them on other people, but I do think there is something wrong with feeling like owning those things somehow put you ahead of or above other people who don’t own them. It’s a false superiority complex. It’s easy to feel that way. Honestly? Sometimes I catch myself feeling that way. But ultimately, the root of this movement is a desire to do the best that we can for this world, with the little time that we’ve been given. I’m hoping that as it becomes more trendy, that aspect of it won’t be lost. I hope that it won’t become about what designer you have in your closet, but that it will continue to be about putting other people’s lives above our desire for clothing. Anyway… kind of rambly I know. Just some things I’ve been thinking about lately. 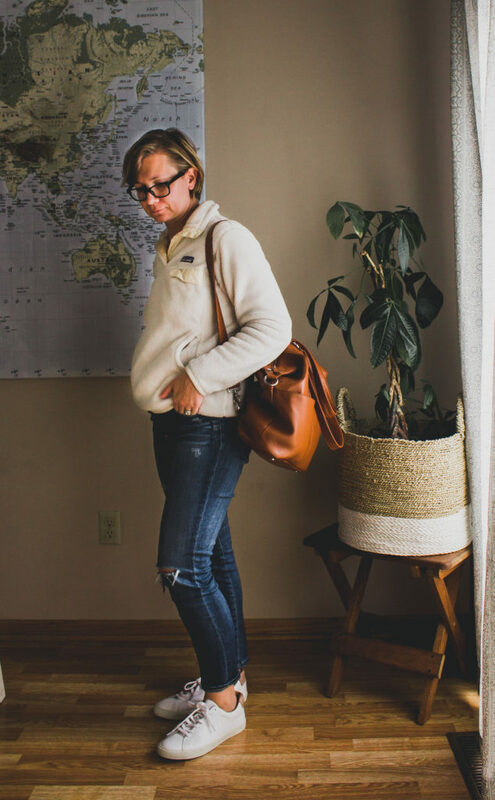 remember way back, when I used to share a weekly outfit roundup? The last one I did was in May of 2016 so it’s been awhile! I’ve been wanting to dedicate one of my blog post days to doing a roundup again and I thought it would fit really well within the Weekly Three posts. So I’m going to start calling this the Wednesday Roundup instead. 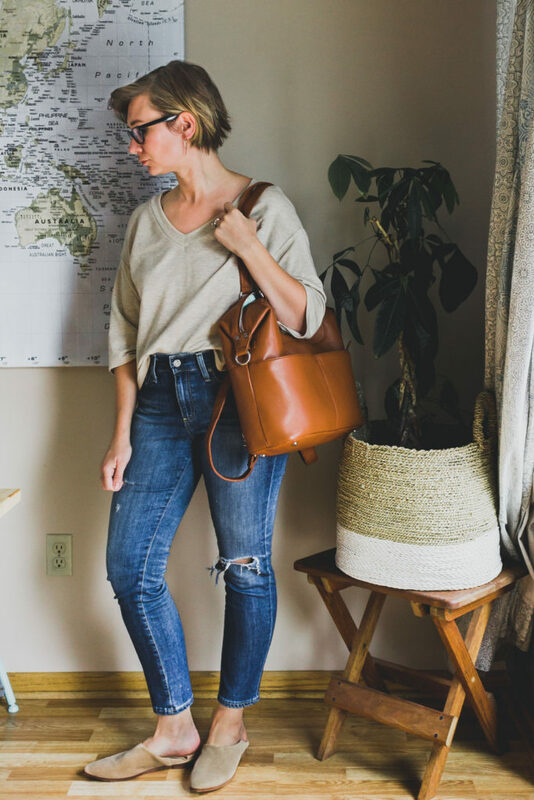 We’ll start with the three brands I’m loving and then move into a quick outfit roundup. Why I chose them: Recently I was in Spoils of Wear, a boutique that curates ethical fashion and every single item I picked up for a second look was Loup. I’m not kidding… every single piece. They just seem to have the perfect lines, fabrics, and colors. I really love they’re overall aesthetic. It’s a bit hipster in a world of classic linens and silks and I love it for that. 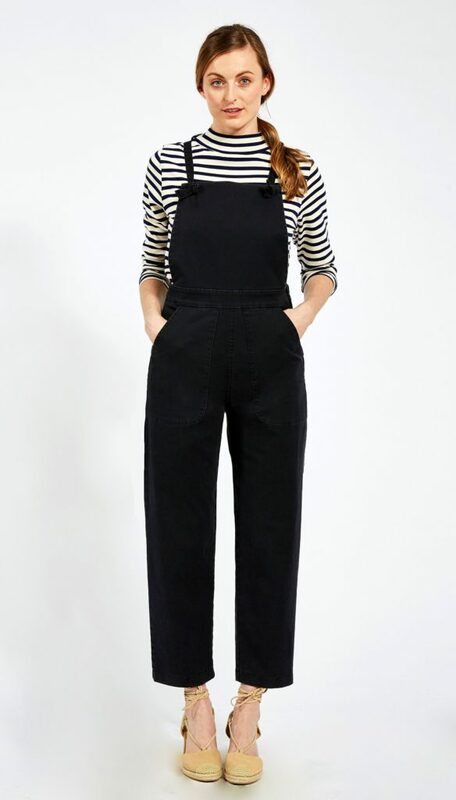 Pieces worth mentioning: the Black Knot Overalls. 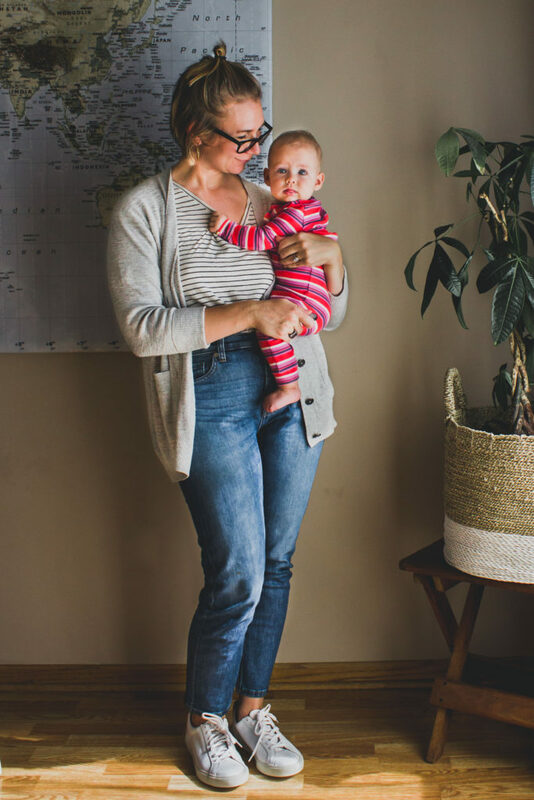 I’m wearing an older version of their overalls in Monday’s post and they are so great that I thought I would suggest their most current version. Why I chose them: They just have the coolest tops/dresses. They’re perfect for that slouchy, I don’t care, sleeves rolled up look. They also stand out for offering a fairly large array of colors in a sea of neutrals. 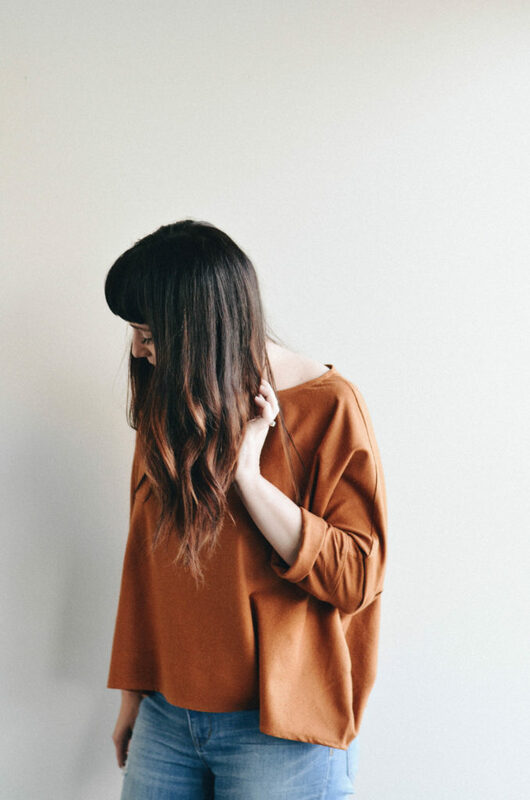 Pieces worth mentioning: the T Top in Umber. This top has been on my wishlist ever since I saw Paige at Style this Life wearing it. It’s so perfect for fall/winter with that gorgeous color! Why I chose them: They’re kind of an ethical fashion giant so chances are you’ve heard of them. But I thought they were worth mentioning anyway because of their newest denim release. It’s hard to find ethical denim and it’s great to have another brand to put in the toolkit. 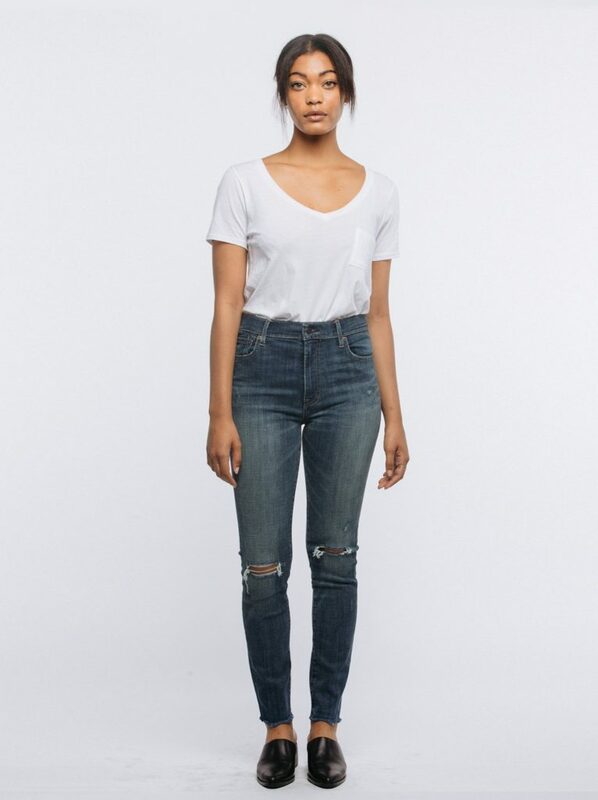 Pieces worth mentioning: The High Rise Jean in Lorena Wash. This is actually my sneaky way of telling you that I’ll be posting a review of these jeans in the near future, so stay tuned for that! But besides that, a skinny that isn’t too skinny with the perfect rise and distressing? Check and check! Now onto the outfit roundup… I’m not going to go into a lot of detail for each photo, this is just simply to show you how I wear my capsule pieces on a day to day basis. So I guess that’s it! I hope you enjoyed seeing my week in outfits (it’s a bit shorter because I’ll be sharing my 10 days of outfits next week for my 10×10 challenge wrap up post). What pieces have you been wearing a lot lately? Love all of the honesty and chatter around trendiness I’m hearing lately. So glad you added your two cents to the conversation 😉 And thanks for sharing Loup! I bought a pair of FashionABLE’s new jeans and I’m obsessed! Can’t wait to hear your thoughts on yours! Thanks Olivia! I’m glad its being talked about as well. Gah! You hit the nail on the head for me Karin! Which is why I refuse to demonize shopping at Target, etc. I also don’t think shopping for more responsibly made pieces should come from place of guilt either. It really should be about awareness, the desire to be intentional and also the desire to have high quality pieces that you don’t instantly feel like replacing. Also, I’ve had that Jamie and the Jones top (or one like it) on my wishlist too since last fall. Could not love that color more. I completely agree with you, Laura! Everything Karin said resonates with me because I think so many of my readers who are just getting into slow fashion are intimidated by how expensive it can be, which makes it feel elitist and classist when sustainability isn’t about owning expensive things at all. Love this post, Karin! Yes exactly! Even if what you can do is buy everything from thrift stores you’re doing great! It shouldn’t ONLY be about which small makers you are buying from, it should be a switch to a different mindset. 100% agree! I know plenty of well intentioned people who haven’t made the switch to ethical fashion and I refuse to make them feel as if they’re less than. I miss hanging out at Spoils of Wear! Love the outfit roundup.